Excavation | A.L.S. Landscape Co.
Whatever you need, we get it done right. A.L.S. can haul away your clay, fill, and brush piles. We have the equipment and resources to get the job done. A.L.S. Landscape is your excavation contractor. 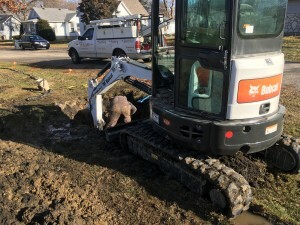 If you would like to install your own landscape projects, a pool, install a gravel driveway, get that cracked concrete removed, or get your yard regraded, please call us today. We have the equipment and experience to get it done. Sure, you can go rent a skid steer for about $300/day, spend half the time learning how to efficiently operate it and then spend more money because you need more time with the skid steer. Then you have excavated what you need, but you have no where to haul it, and nothing to haul it with. What about that gravel or sand you need to complete your project? Solve these headaches, and complete the project in less time just by contacting A.L.S. Landscape. No worries. Contact us today. We will fit your job in on YOUR timeframe. Our slogan is, “Get It Done Right, Get It Done Now.” We aim to please, and accept all challenges. 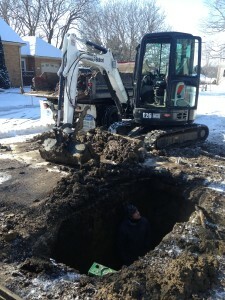 ALS Landscape can be your go to excavation contractor for a variety of utility, septic and drainage projects. If you are a DIYer, and need to install utilities to a new building or repair existing utilities- Call us first! 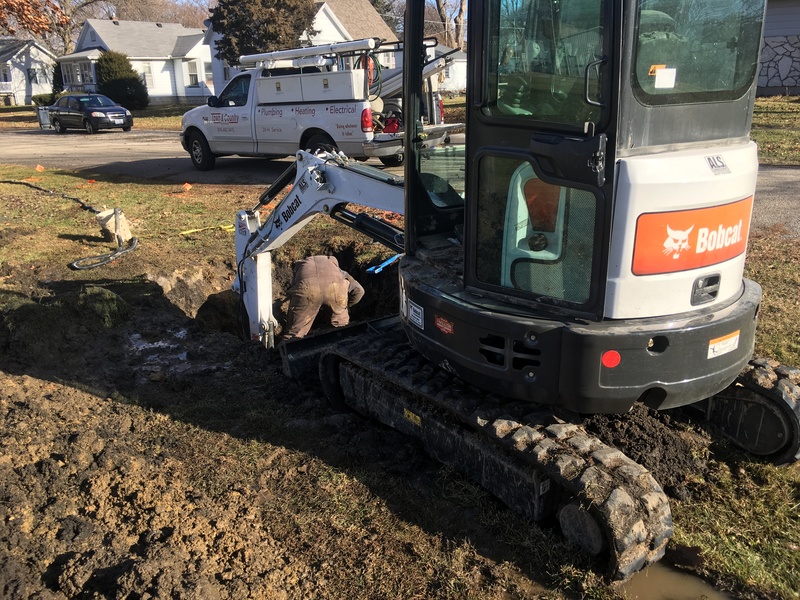 We also welcome the opportunity to work with plumbers, utility companies and other businesses, that need additional equipment and manpower to complete projects. We are fully insured, and available 24/7 if needed.